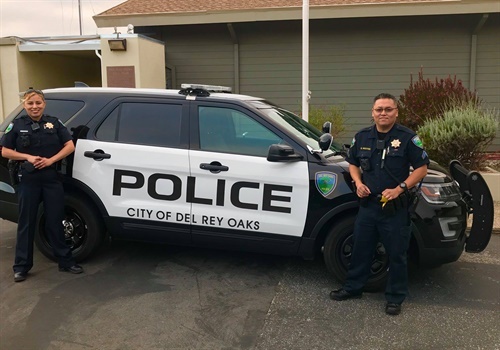 The Del Rey Oaks (CA) Police Department has hired a female police officer for the first time in its history. Image courtesy of Del Ray Oaks Police Department / Facebook. The Del Rey Oaks (CA) Police Department has hired a female police officer for the first time in its history. Now one of 10 officers on the department, Officer Beatrice Pereda started her field training this week, according to KION-TV. Del Rey Oaks PD wrote on Facebook, "Tonight marks a significant and historical night for the Del Rey Oaks Police Department. Officer Pereda, Del Rey Oaks' first female officer spends her first shift on patrol. Officer Pereda will begin her field training with Corporal Nguyen. We are thankful she is a part of our team."